Creativity tip: if you have a hankering for a massive salad, but don’t know what to put on it, go to the salad bar and make a list of everything available. Then, go to the veggie section of the grocery store, and buy everything on that list and then some. 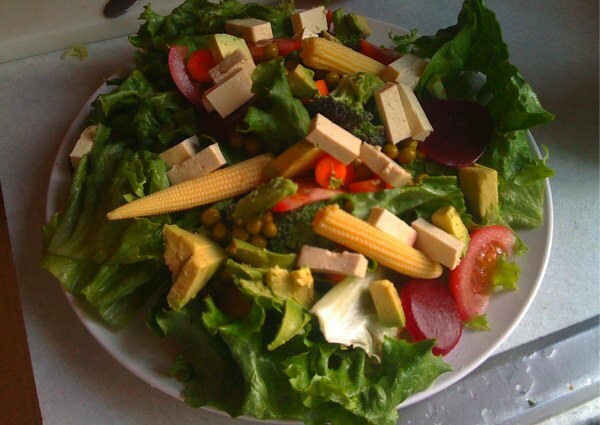 With luck, you should end up with a delicious mix of beets, baby corn, carrots, cucumber, chard, olives, peas, avocado, potatoes, and tofu.